Welcome to Friends of St. Paul AME! 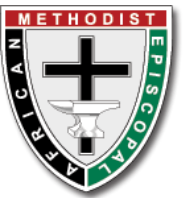 Founded in 1864, St. Paul African Methodist Episcopal Church celebrates its 155th anniversary in 2019. Sitting at the corner of Franklin and Merritt Mill where it marks the border between Chapel Hill and Carrboro, St. Paul is literally a community cornerstone. During these perilous times in 1864 emerged J. Craig, Charles Craig, Charles H. Johnson, Jerry Hargraves, Kenny Brooks, C.E.H. Johnson, William Thompson, Green Merritt, Edwin Allen, and Green Cordal, our own dedicated, spirit filled, and courageous men. Under the leadership of Jerry Hargraves and Edwin Allen, these men organized a Black Methodist Church. © 2012-Present. Kim McCahan Batson, Web the Word™ handling website design and upkeep as a community service - not an official publication of St. Paul AMEC.